The information presented on this page was originally released on June 10, 2010. It may not be outdated, but please search our site for more current information. If you plan to quote or reference this information in a publication, please check with the Extension specialist or author before proceeding. 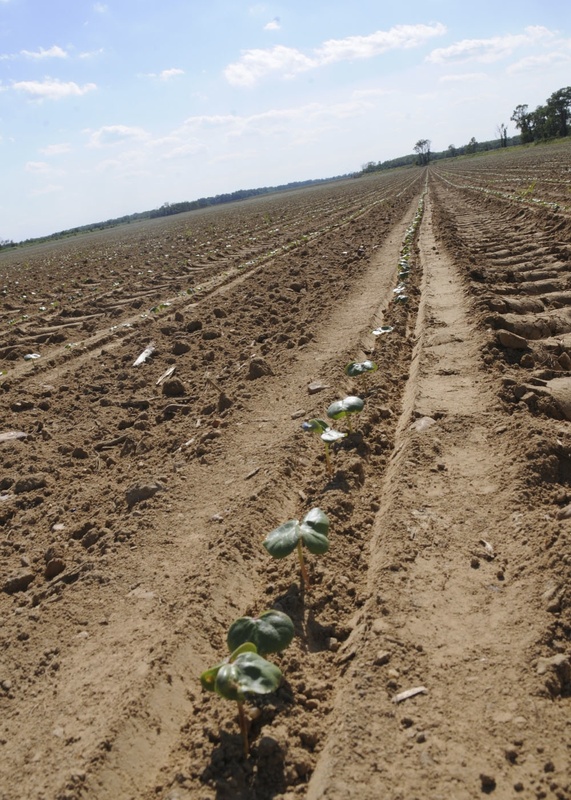 MISSISSIPPI STATE – Mississippi’s young cotton crop has already faced a list of challenges including flooding, late planting, insects and now drought. Adverse weather conditions initially kept farmers out of the fields. The weather turned cool, slowing the growth of cotton in the ground, and then quickly turned hot and dry. “Soil moisture changed from adequate to dry in about 10 days in many areas of the state,” Dodds said. Other weather challenges have been sandblasted cotton from a huge wind in the north Delta in late May and scattered hail damage in various areas of the state. The biggest problem now is the need for rain, even though some fields began the season too wet. “Many growers are beginning to irrigate cotton much earlier than usual due to dry weather conditions,” Dodds said. River flooding has not hurt as many cotton acres as it has other crops, because most cotton acreage is located in areas not prone to flooding. Some farmers were still planting cotton in the second week of June, but Dodds said most was in the ground. The U.S. Department of Agriculture estimated there would be 525,000 acres of cotton planted, up 25 percent from acreage planted in 2010. “I expect we’ll be in the ballpark of that anticipated acreage,” Dodds said. He said weather delays pushed cotton planting back, but there is not yet cause for concern because of the later-planted crop. Angus Catchot, Extension crop entomologist, said cotton’s late planting followed by a 10-day cold snap created a problem with thrips. As wheat and other grasses begin to dry down, thrips move to crops such as cotton, Catchot said. Most of the Delta’s cotton had already been sprayed once for thrips by early June, and many acres already had multiple treatments. “Seed treatments generally do a good job controlling thrips, but the cold weather held back the cotton from growing, and the thrips numbers overwhelmed the seed treatments,” Catchot said. With hot weather, the cotton is growing well, but spider mites have begun to be a problem. Catchot said some fields have already sprayed multiple times for plant bugs. “It appears we’re going to have a fairly bad insect year,” he said. Whether cotton is profitable depends on what kind of yield producers can harvest, the cost of managing challenges along the way and market prices for the commodity. 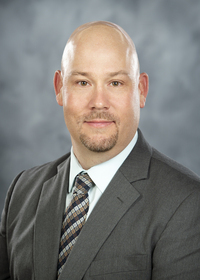 John Michael Riley, Extension agricultural economist, said prices have come down from their early-April high of $1.45 a pound. They began to rise in early June. The December futures price is $1.30 per pound.